Today I wanna share one more wonderful outfit idea for your girls. If you wanna add some flirty touches to your bridesmaids’ looks, then choose absolutely beautiful dresses with flutter sleeves for them. 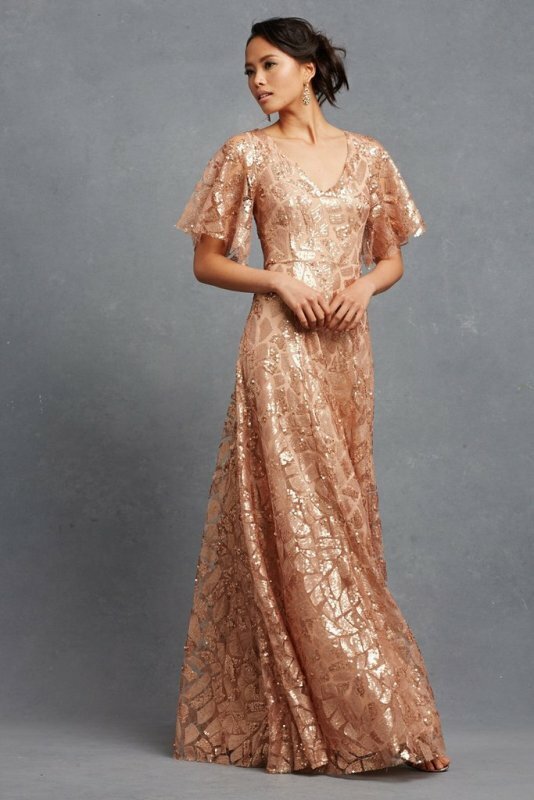 It’s very interesting how one detail can change the whole look, but choosing, for example, a mermaid dress with flutter sleeves, you’ll get another effect than choosing just a simple mermaid one. 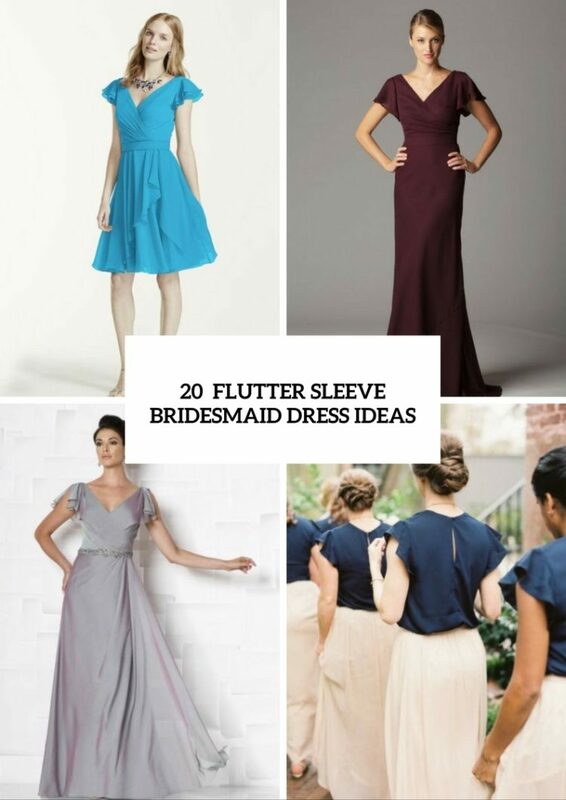 Flutter sleeves can make bridesmaids’ looks more girlish, fun and stylish. So how about this idea? Let’s find out how your girls can wear them and what types of dresses with flutter sleeves they can choose. Maybe you’ve guessed that flutter sleeves are also known as bell sleeves. So now it’s very popular decor element for any dresses or blouses. 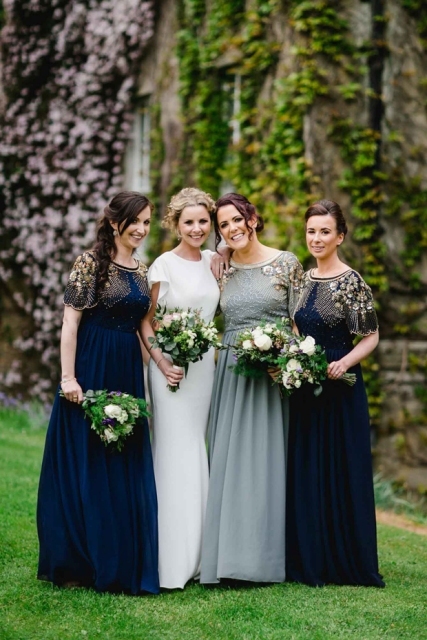 If you decided that your bridesmaids would wear maxi dresses, pay your attention to chiffon ones, with flutter sleeves they look very cute and airy. To keep your girls’ figures proportional and visually make them slim and tall, they should always wear heels or classic pumps with maxi dresses. 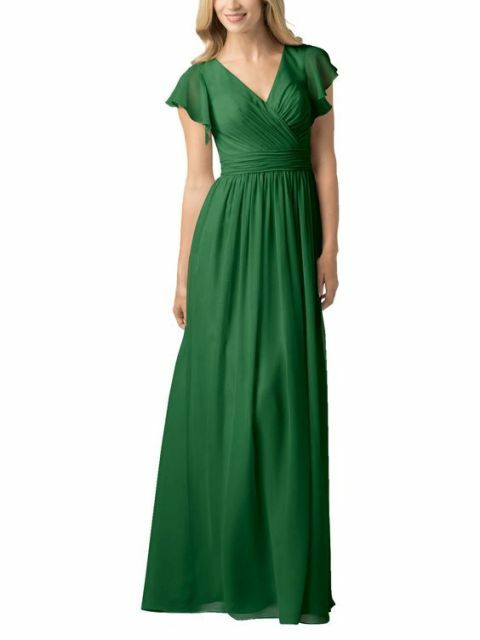 Doesn’t matter what type of maxi dresses you’ll choose (mermaid, A-line, ball gown, etc. ), your bridesmaids will look awesome! You need to know that you can also choose the length of sleeves: they can be short, half and three quarter. So if your dresses will have puffy lower part or too many decor details, then pick up short sleeves, but if your dresses have mini length and are straight, then you can experiment with the length of sleeves. 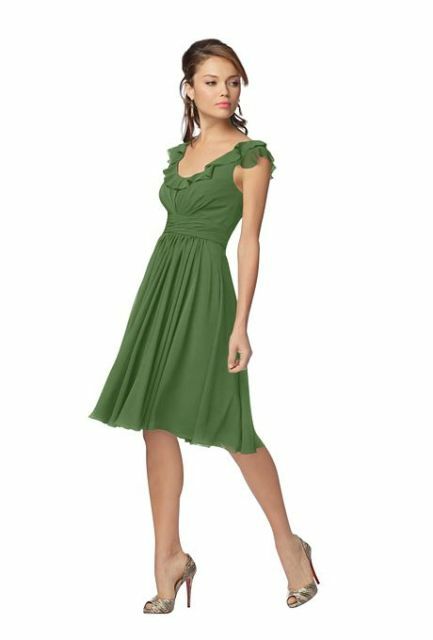 If you think that your girls should wear mini or knee-length gowns, take a look at A-line chiffon dress in bright colors. So if you’ve found this type of dresses interesting for you, then scroll down to see more inspiring, elegant and lovely ideas. 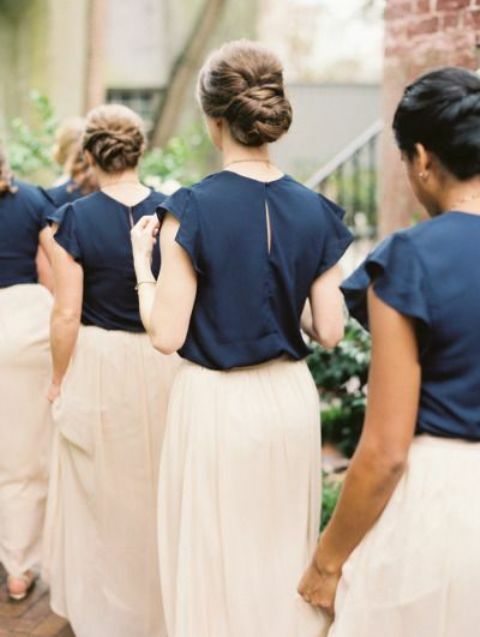 Let your bridesmaids be gorgeous!